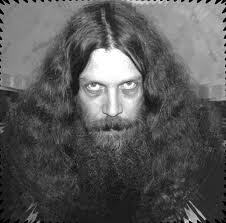 Alan Moore was born in Northhampton, England to a brewery worker and printer. In his late teens, he was expelled from school, and was not accepted by any other school. So, unemployed, and under educated, Moore began working for “Embryo,” an underground magazine the he published with his friends. By 1979, his magazine experience carried him to “Sounds,” a weekly music magazine where he published a story called “Roscoe Moscow” under a pen name. In 1982, Moore found success working for a company called “Warrior.” The monthly magazine published two of Moore’s stories as strips in its magazine. The two were “Miracleman” and “V for Vendetta.” These remain two of Moore’s most popular comics, because they most embody his signature style. Moore hit the mainstream hard via DC’s comic “Saga of the Swamp Thing.” Through Swamp Thing, Moore revived many of DC’s forgotten or neglected supernatural characters, like the Spectre, and Deadman, and also introduced John Constantine, protagonist of the series Hellblazer (And unfortunate victim of Keanu Reeves). Moore has also done some of the most popular arcs for DC’s mainstays Superman and Batman (“For the Man Who Has Everything,” “Whatever Happened to the Man of Tomorrow,” and “The Killing Joke”). For those of you who are new to comics, “The Killing Joke,” along with Frank Miller’s “Batman: Year One” have left a permanent mark on the Dark Knight Detective, redefining the character forever. In 1986, DC passed some odd characters to Moore’s creative desk. The characters, including the Blue Beetle and The Question, were acquired when DC purchased Charlton Comics. Moore used the characters to create the Watchmen, a favorite of many of Moore’s fans and often considered his most signature work. In the late 80’s Moore left DC to open an independent publishing company with his wife, and their mutual girlfriend. The company, named Mad Love, was used to tackle more taboo issues. It was from here that Moore published “From Hell” which became the first of his work to be adapted to film. The comic follows the investigation into the brutal “Jack the Ripper” slayings. Mad Love tackled the taboo in another way as well. The company’s first published work was an anthology titled “AARGH” or “Artists Against Rampant Government Homophobia.” Unfortunately, Mad Love folded in 1990. After some work for Image, Jim Lee offered Moore his own imprint, which led to “America’s Best Comics.” Under ABC, Moore created both the League of Extraordinary Gentlemen, and Promethea, among other titles. In his personal life, Alan Moore is a practicing ceremonial magician who worships the snake deity Glycon. He also practices the Kabballah and Tarot, and is an outspoken anarchist. Alan Moore is weird. Mogo is a blue, earth like planet with a band of green vegetation around its center. 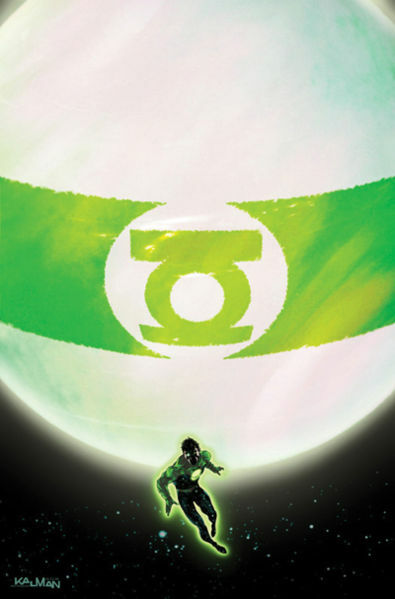 The vegetation forms the pattern of a Green Lantern ring, showing his status as a corps member. Mogo is by far the largest Green Lantern member. The living planetoid often serves as training ground and rest spot for various members of the green lantern corps. Mogo also has another important role. It is his (Its?) job to control the distribution of Green Lantern rings to each space sector. Mogo’s first appearance was in a green lantern arc titles “Mogo Doesn’t Socialize.” Mogo often prefers to appear via hologram, rather than in person, as his gravitational field would wreak havoc on any other planet. Therefore, Mogo prefers not to “socialize.” Mogo is the only sentient planet known to exist, although Ranx The Sentient City is comparable. Abin Sur has also prophesied that Mogo will be the last of the Green Lanterns, his destruction will seal the fate of the corps forever. Powers and Abilities: symbiotic suit, manipulation of Necroplasm, Military training, Firearms proficiency, various other Divine and Infernal powers. Al Simmons, agent of the CIA, began to question his superiors and because of this, he was killed by Jason Wynn (his boss) and Chapel (his friend). Simmons’s death was only the beginning, however. His soul was sent to Hell, and Al made a deal with Malebolgia so that he could return to earth and see his wife again. Malebolgia agreed to the bargain, but returned Simmons to earth with no memory of his former life. Instead, Al discovered that he was now clad in a symbiotic suit and could wield the power of Hell. While discovering his new abilities, and piecing together his old memories, the newly dubbed “Spawn” encountered the demon known as Violator, a small clown like creature. 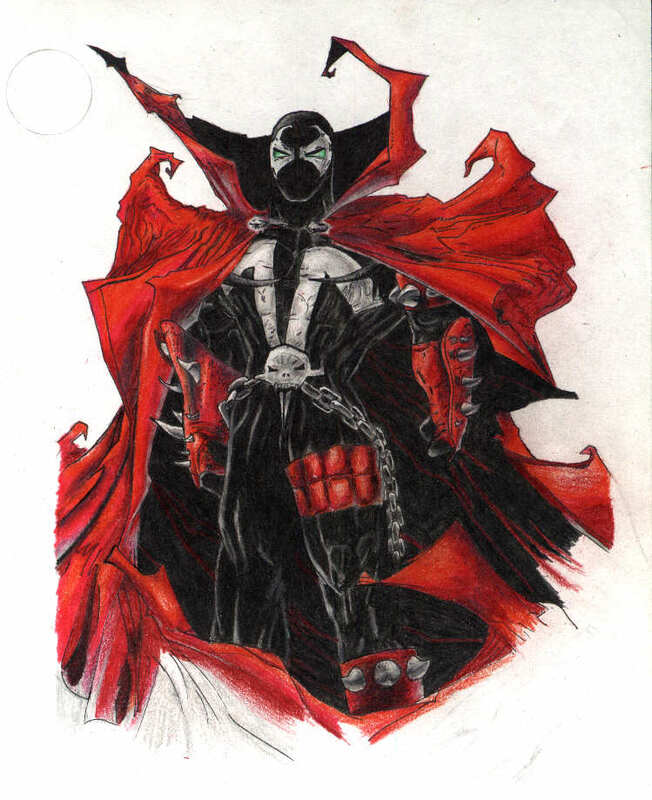 Spawn’s early battles represented his anti-hero attitude, fighting pedophiles, mob men, and other criminals. Later, he would encounter Angela, an angel (very creative) who hunted Spawns for sport. This was his first encounter with the forces of Heaven. Spawn would go on to fight in the apocalypse (cool) and team up with Batman (more cool). Spawn has also gained and lost more powers than Superman has even considered having. Spawn is, overall, a very awesome character. “Who knows what evil lurks within the hearts of men? The Shadow knows!” The tag-line from the old radio show rang true, as it should have. Kent Allard was a flying ace in WWI (Or just The War, as I imagine it was known then). After the war ended, Allard grew restless and decided to seek a new challenge. He faked his death in the jungles of South America, and used the opportunity to return to the United States and start a war on New York City’s criminal population. Allard adopts a number of different identities to wage this war, including Lamont Cranston (wealthy young man about town). In the pulp magazines, Cranston is a separate character, and has met the Shadow a number of times. In order to use Cranston’s persona, the Shadow tells him that he is prepared to have the signatures changed on a number of important documents, so that he can take over the Lamont Cranston persona permanently. In their future meetings, Cranston is more cooperative, and the two often use their similar likeness to swap places. For the first seven years of the Shadow’s pulp run, his true identity was unknown, while in the original radio program, the Shadow was only Lamont Cranston (Allard was dropped for the sake of plot simplicity). In addition to his various personas, The Shadow has a network of spys, informants, and other agents who assist his war on crime. The most famous of these are Margo Lane, a wealthy socialite who was created for the radio drama and later added to the pulp series, and Detective Joe Cardona, a police detective who operated much like Commissioner James Gordon did for Batman. Over the years, The Shadow property has been owned by a number of comic companies, most notably DC Comics. DC has has several semi-successful comic series involving the Shadow, but none stuck around for very long. The Shadow has also appeared in other DC Publications, especially, Batman. In issue 253, Batman teams up with an aging Shadow, who he claims was part of the inspiration for his life as Batman. In Issue 259, they meet again, and it is revealed that the Shadow once saved the life of young Bruce Wayne. 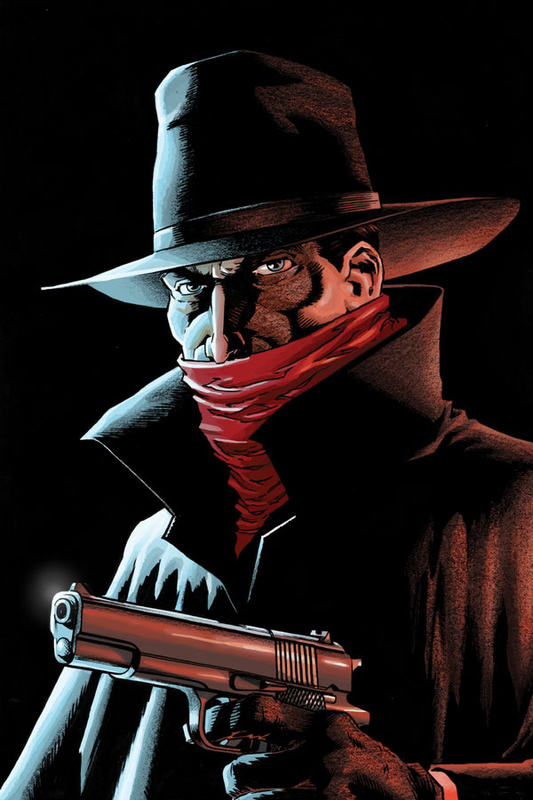 Currently, the Shadow is liscensed to Dynamite comics and appears in his own on-going series, as well as in the Alex Ross series Masks. Go pick it up. 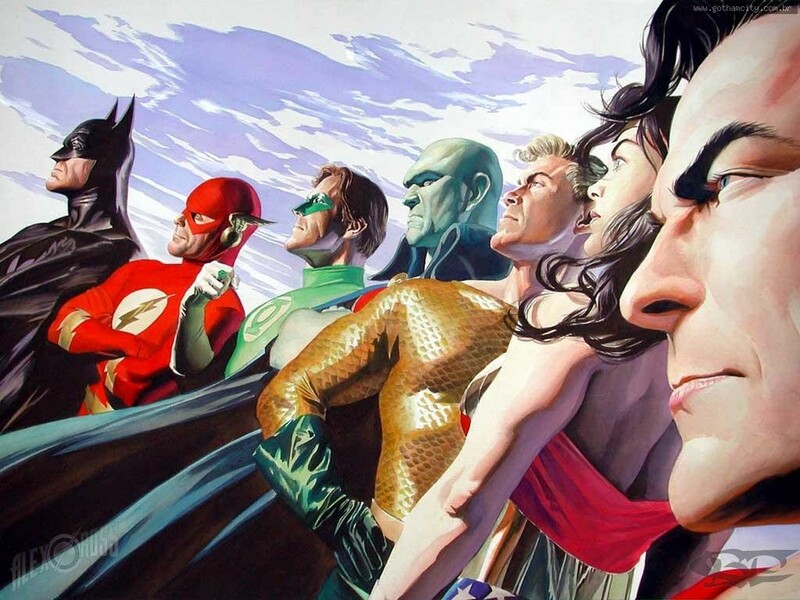 Alex Ross is a brilliant artist and he shows a striking passion for his work. Its this attitude toward his work that attracts his fans, and makes even his variant covers incredibly sought after. 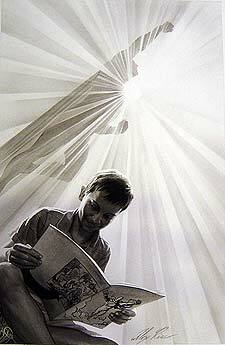 That being said, if you buy an Alex Ross comic simply to bag and hoard, you are a fool. Ross’s work must be experienced to be appreciated. His characters seem to jump off the page with life, and each face shows the emotion of the scene. Over the years, Ross has more than earned the praise he has gotten, and will continue to receive for the length of his career. Prince Uxas, desiring to take the throne of Apokalypse, murdered his brother in an attempt to claim the Omega Force. The Force transformed Uxas into the familiar rock-like creature known as Darkseid. Darkseid led Apokalypse to war with New Genesis, a rival planet. The war nearly destroyed both planets, and ended in a covenant sealed by the exchange of sons. Orion, one of Darkseid’s two sons was sent to New Genesis to be raised by the Highfather, while Scott Free (Later known as Mister Miracle) was sent to be raised by Darkseid. Though Scott Free and Orion both grew to oppose Darkseid, the god of evil is not without champions. Kaliban, Darkseid’s first born son, Desaad his evil adviser, Granny Goodness, captain of his personal guard, and Glorious Godfrey with the power of mind control, all follow Darkseid’s orders to the letter. 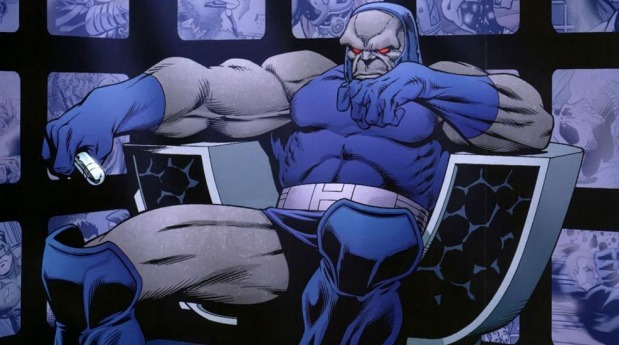 Darkseid also backs the earth-based Intergang, which uses Apokalyptan technology to run organized crime. The long and short of it is this, Jack Kirby created Darkseid to be the embodiment of pure evil, and he did a damn good job of it. He seeks to wipe out free thought and put everyone under his control. He is most known for clashing with Superman, and is probably most represents the opposite of everything that Superman stands for. The living god of evil has appeared in numerous DC series, and is rumored to be the major villain in the upcoming Justice League movie. Now that the film stuff is out of the way, I can talk about Kevin Smith’s comics. 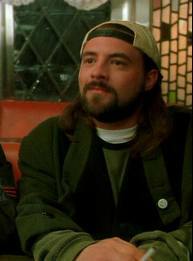 Smith’s first full series was Clerks, based off his popular movie series. After that, his first foray into superhero comics was an 8 issue arc for the Marvel Knights version of Daredevil. The Marvel Knights label was designed to boil characters down to their cores and force readers to re-evaluate what they know about them. It is also a place for self-contained stories where top-talent writers can work without restraint. This in itself says a lot about how Smith is now perceived in the comic book community. On the DC side of things, Smith has to his credit a 15 issue run with Green Arrow, the first ten of which are part of the “Quiver” arc. Quiver explores the rebirth of Green Arrow, and the creation of a new “Speedy” character in Mia Deardon, whom Ollie rescues from the streets of Star City. It also features the creation of a new villain Onomatopoeia, who is as hard to spell as he is unusual. Onomatopoeia is a villain that focuses mostly on unpowered heroes, brutally hunting and killing them. He earns his nom de guerre by saying the sounds that are happening around him. This character goes on to appear in Batman: “Cacophony”, another Smith venture. “Cacophony” focuses on the interesting psychological interplay between Batman and the Joker. 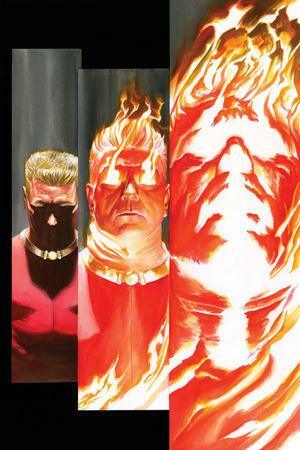 “Cacophony”, and its sequel “The Widening Gyre,” are Smith’s masterwork to this date, causing IGN to compare him to writing great Grant Morrison. Smith had also written for the “Green Hornet” and “The Bionic Man” for Dynamite comics (which I have yet to read). Smith happens to be one of my favorite writers of both film and comics. To those who have never read his work, I highly recommend “Cacophony” because of its intricate storyline. A third part of the Cacophony/Widening Gyre series has been announced for release in 2013.